An inverter is used to produce an un-interrupted 220V AC or 110V AC (depending on the line voltage of the particular country) supply to the device connected as the load at the output socket.The inverter gives constant AC voltage at its output socket when the AC mains power supply is not available. should consider in the following situations. When the AC mains supply is available,the AC mains sensor senses it and the supply goes to the Relay and battery charging section of the inverter.AC main sensor activates a relay and this relay will directly pass the AC mains supply to the output socket.The load will by driven by the line voltage in this situation.Also the line voltage is given to the battery charging section where the line voltage is converted to a DC voltage(12V DC or 24V DC usually),then regulated and battery is charged using it.There are special circuits for sensing the battery voltage and when the battery is fully charged the charging is stopped.In some inverters there will be a trickle charging circuit which keeps the battery constantly at full charge. 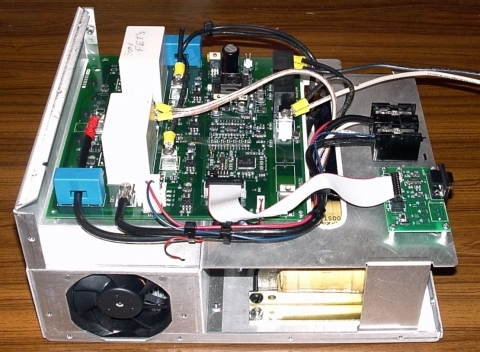 When the AC mains power supply is not available,an oscillator circuit inside the inverter produces a 50Hz MOS drive signal.This MOS drive signal will be amplified by the driver section and sent to the output section.MOSFETs or Transistors are used for the switching operation.These MOSFETs or Transistors are connected to the primary winding of the inverter transformer.When these switching devices receive the MOS drive signal from the driver circuit,they start switching between ON & OFF states at a rate of 50 Hz.This switching action of the MOSFETs or Transistors cause a 50Hz current to the primary of the inverter transformer.This results in a 220V AC or 110V AC (depending on the winding ratio of the inverter transformer) at the secondary or the inverter transformer.This secondary voltage is made available at the output socket of the inverter by a changeover relay. Inverter contains various circuits to automatically sense and tackle various situations that may occur when the inverter is running or in standby.This automaton section looks after conditions such as overload,over heat,low battery,over charge etc.Respective of the situation, the automation section may switch the battery to charging mode or switch OFF.The various conditions will be indicated to the operator by means of glowing LEDs or sounding alarms.In advanced inverters LCD screens are used to visually indicate the conditions. Block diagram of a basic inverter. Hey sir really this is amazing information , sir can use IGBT in Inverter for Switching purpose please reply sir. My square wave inverter when connected to mains power supply gives a click sound and then comes on battery mode: means supplies power through battery and stops charging. What may be reason? 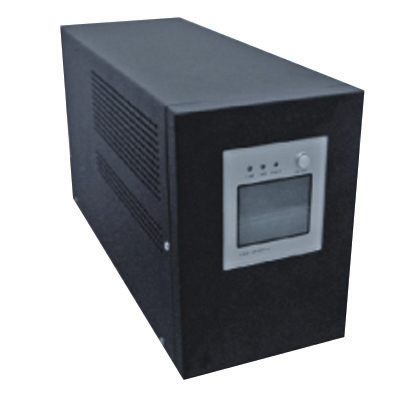 What is the specification of the relay used in the home inverter ? If i want to buy at a shop what should I tell him ? I am excited about your Store and am eager to shop and order! However I live in the USA and know only our currency in U.S. dollars and cents, do you ship here? How much will it cost? And, do you have a schematic design to make/build a variable Wifi hotspot box? Currently we don’t ship to US. We have some legal formalities to clear before shipping to foreign countries. We will definitely let you know once we are ready. im very much new to this electronic stuff and not able to understand MOS and MOSFET stuff. I would be very happy if u can teach this in some very basic stuff. Im gud at concepts in electricity..
Hi Alexander if you donot want to step up or down you can use you H bridge final stage (with the required output as input DC). it’s very good description about an inverter. It’s sufficient for a reader to make taste in reading and studying about inverter.good very-99 good. 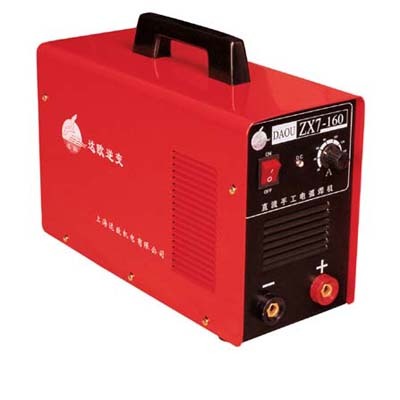 I want to make one inverter, could you please provide me the circuit diagram for 500 or 650 Watt. Hi Mona you may go through 100 watts inverter and 12 volt battery charger circuits appeared in Circuits today, that will give you the idea of the blocks shown. send me 500w inverter circuit diagram….. 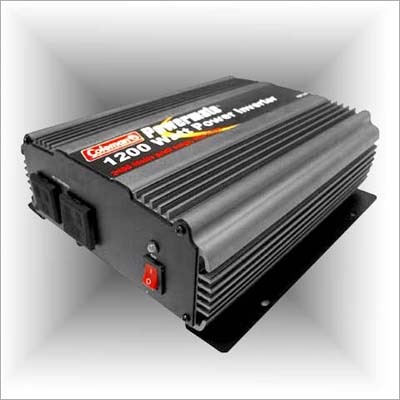 I m interested to improve the working efficiency of the inverter …. so will be thankful if u can provide the circuit diagram of inverter to my email…. i am interested in power saver circuit.please help me like what should i do to make to this circuit.anyone help me for makinhg power saver circuit with stabilizer?